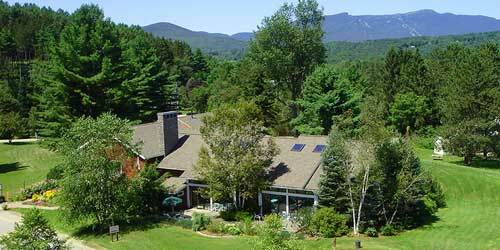 Your own four-season retreat in a picturesque mountain setting! 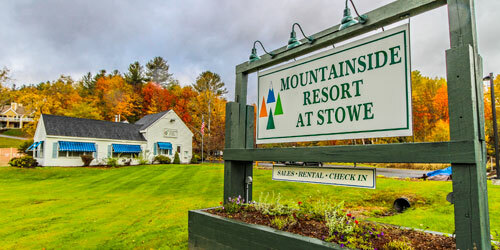 Nestled on a hillside overlooking the picturesque New England village of Stowe, Mountainside Resort offers a unique and reasonably priced, year-round lodging experience for families and small groups on vacation. Units are completely equipped and fully furnished, boasting fireplaces, A/C, private phones, cable TV, DVD players and VCRs. Resort amenities include indoor pool, hot tub, sauna, central laundry, a basketball court and two tennis courts, a playground, and an open field for games. The property is just minutes to excellent skiing, dining and shopping opportunities. There is also a town-wide trolley service available seasonally. Year-round local activities abound: golfing, fishing, boarding, hiking, rock climbing, biking, rollerblading, antiquing and leaf peeping. Stay at Golden Eagle Resort and you'll find everything you're looking for in a mountain vacation. 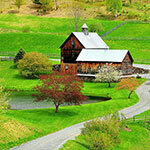 We're located in Stowe, Vermont -- ski capital of the East -- and nestled among the surrounding Green Mountains. You can enjoy all the winter sports at nearby ski resorts, from downhill skiing to snowshoeing. There's even more happening in warm weather months. Hike woodland trails,where you might spy deer, great blue herons, ducks, and sometimes even a moose. Explore on a faster pace with a mountain bike. For less physical fun, tour the Ben & Jerry's Factory, where you can sample their wares at the end. Frolic in our heated indoor and outdoor pools. 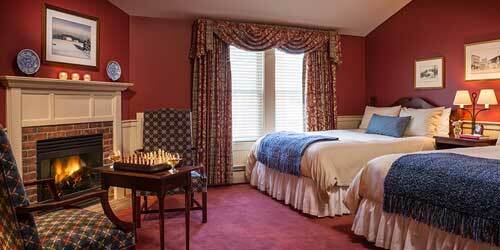 And it's easy to unwind in our spacious guest rooms. Amenities include jetted tubs, kitchenettes, and private balconies, depending on the room. You’ll notice the fresh mountain air right away when you travel to the Green Mountain Inn, and once you check in to your elegant room, suite, apartment or townhouse (many with fireplaces and Jacuzzis) , you’ll notice the breathtaking views. But don’t stop there. Head over to the Stowe Mountain Resort for some world-class skiing or take a scenic drive up Mount Mansfield, Vermont’s highest peak. From the summit, you can take in gorgeous views of lake Champlain and the Adirondacks. In warmer times, go zip-lining or ride the mountain gondola. 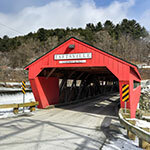 Other nearby activities include skating, sleigh rides and dog-sledding in the winter, and golf, hiking or seeking out a crystal-clear swimming hole in the spring, summer and fall.